It means, Fedora Project will subsidize or reimburse your cost for travel and/or accommodation. Read this guide and file a ticket here. You need a Fedora account to apply. In the unlikely case, that you don’t have one, signing up for a account, takes only a few minutes. Typically, if you are a Fedora contributor who is planning to present a talk or organize a hackfest, you will be considered eligible. However if you are unsure or you feel that you have a good justification, go ahead and apply anyway. Much better of chance of getting sponsored if you request! Will everyone who applies get sponsorship? Probably not. We will do our best to sponsor contributors who are within India to attend the event. We can potentially subsidize the costs of some international participants but our budget is tight. I would love to bring a global community to the FUDCon I am organizing obviously and welcome everyone to participate but we have to do it within the budget we have been granted. How will I know I am getting sponsored? We will update your ticket when we make a decision. How will you decide who gets sponsored? 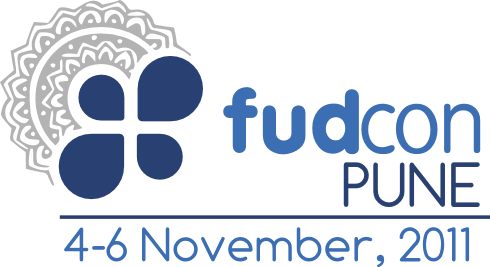 FUDCon India meetings happen every Friday at 1:00 PM UTC (6:30 PM IST) in #fudcon-planning channel, irc.freenode.net. The stake holders including me (as the event owner), Fedora Project leader and other Fedora community members who will participate in the meetings. All discussions will happen transparently there and meeting minutes will be posted to fudcon-planning mailing list. FUDCon meetings are open for everyone for participate. You are welcome to join us. I do not decide who gets sponsored on my own and there are no side way entrances. This is the same process for everyone. August 5th. We will keep it open for a while more if we can but don’t wait to apply. You have a much higher chance of being sponsored if you apply early while funds are available. Questions? Drop a mail to sundaram AT fedoraproject or get hold of me over IRC in #fedora-india irc.freenode.net. My nick is mether.